New York City audiences are tough. Even when they like an artist, they can be brutal. I had the (mis)fortune of seeing one of the legendary shows of Neil Young at the Beacon in the early '90s. There was almost a riot because he was playing the soft acoustic songs that would evolve into Harvest Moon. None of that was evident for Rodriguez. The 1100-plus audience, made up of 21-80 year old fans, was his from before he stepped onstage with an acoustic/electric guitar and strummed quietly as he sang, “I Only Have Eyes For You.” The old cliché of “you could hear a pin drop” has never rang so true as when Rodriguez would sing, tell jokes, and espouse his social and political views. He sang and played softly and the recent converts, including those who had been drinking for two hours, accepted it. When someone yelled to turn up the volume, Rodriguez explained that he hated feedback (the aural kind), and preferred to keep it intimate. The mystery of holding the audience as he did was even more unusual due to the roar at the conclusion of each song or bold statement about women's rights, Obama, (he's voting for him), or to say a heartfelt, "Thank you for making me." Rodriguez claimed to pick material and song order in what felt right to him at the time, the formula worked. The pacing between material from his first two records, and from Searching For Superman, peppered with choice covers that he made his own. The aforementioned opener along with Lou Rawls’ “Dead End Street,” the oft-covered “Fever,” and a surprise closer, “Blue Suede Shoes” (which he attributed to writer Carl Perkins and not Elvis), became his own. Early in the show he had the banter with the crowd down to an art form. The repeated shouts of "We Love You!" generated a quiet reaction from him but when the quiet became intense, he would lighten things up with a joke. A classic was when he asked if anyone was there from Detroit. A handful of people reacted. His response was, "You have my condolences!" Everyone was in on that joke as he has lived his entire life in the Detroit area and calls it his home. 60 Minutes’ Bob Simon was there with a three-camera crew to interview Rodriguez for a major piece airing in October. Simon seemed overwhelmed by the reaction of fans in line – those with tickets and those of us without – when Rodriguez arrived at the club. He looked visibly tired from the whirlwind tour but stayed outside signing autographs and taking pictures with fans until someone pulled him in for his soundcheck. Usually, a news crew stays for the first couple of songs but Simon stayed for and filmed the entire show. By shows' end, he and his cameramen were converts if they were not before. The man is truly is a phenomenon. From the time I found music’s power, circa age 3, I felt a bond with certain artists. We all have had the sense of discovery and territorialness that comes with finding something or someone new that belongs to “us.” We love to tell others about them but do not want them to get too close. When the artists gain mass popularity, we tend to move on to someone else or take the “I found him first” attitude. Rodriguez is just like that but his fans seem to revel in knowing that others are feeling the same connection. I stood in the standby line with 200 people of like mind and hope of getting a ticket. Only a handful made it by buying cancellation tickets. When I was about to call it a day, a guy came buy with two tickets – for free – from a friend’s cancellation. I made the observation that many of these people had not stood this long in line for a concert since the '70s. No one seemed to mind and friendships were made. 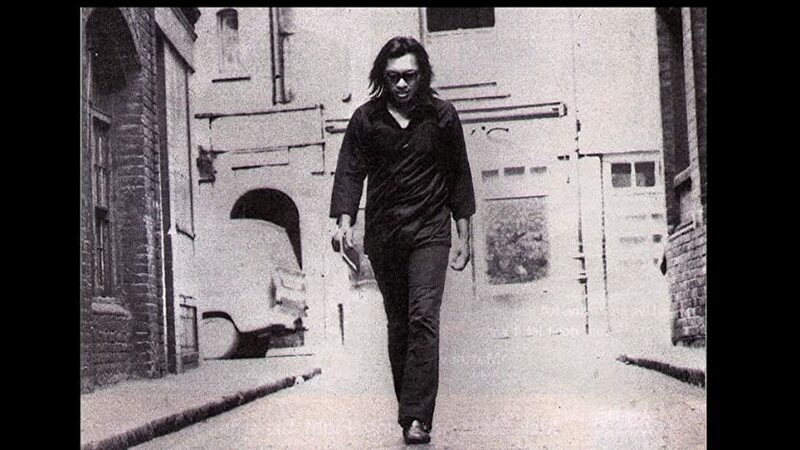 Rodriguez deserves to be honored as he is thanks to the film, the music, and those two South African fans that “found” him. I am happy to share my enthusiasm to as many people who will listen but, just remember, he is mine…but he belongs to everyone.